Montville is a hinterland town of the Sunshine Coast on the Blackall Range in Queensland, Australia. Montville and the surrounding areas of Flaxton and Hunchy have a population of around 900. Nearby towns include Maleny, Mapleton and Palmwoods. 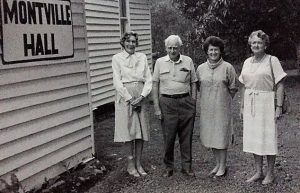 The Montville Historical Group (MHG) was founded in 1983 , and comprised four dedicated history enthusiasts – Steph McLennan, Jean Capper, Alan Sly and Betty Bennett. 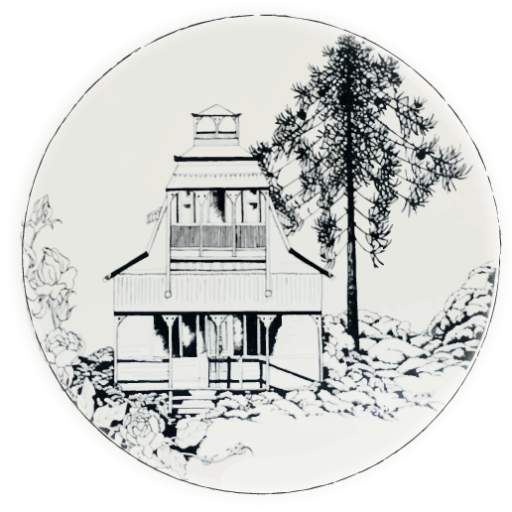 Its first project was a pictorial publication celebrating one hundred years of settlement in and around Montville. MHG is auspiced by The Montville Village Association, an incorporated non-profit organisation. MHG aims to research, preserve and publish the history of Montville and its surrounding districts and to record the oral histories of those who have shaped Montville. MHG also encourages an appreciation for the local history of Montville, Flaxton and Hunchy. The Group is keen to collect and share reminiscences of the area and has assisted with several publications. In addition, MHG assists with research on behalf of local groups and organisations including local museums, genealogical groups, libraries, universities, newspapers and approved researchers. The Group meets as required and undertakes projects such as updating brochures about historical information, heritage trails and organising events to promote historical occasions. We welcome interested people to participate in our activities.